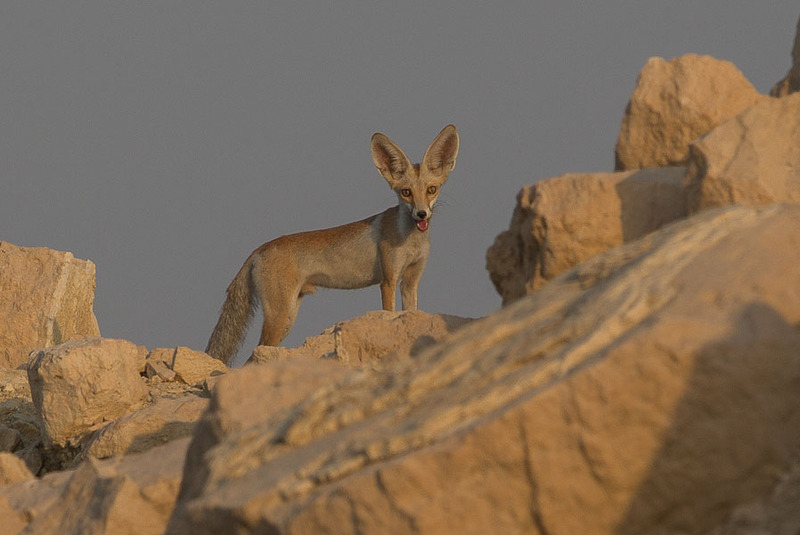 On my daily birding trip through Dhahran hills in the evening I found a really smart looking male Arabian Red Fox. I had seen one earlier at distance on the dried up bottom of the percolation pond and moved around the pond edge to try to get closer. The fox disappeared but I found the same or another on the nearby rocky boulder strew bank and got reasonably close to the animal. The last few I have seen have been worn and dishevelled females with cubs but this one was in fine fettle and was an adult male. 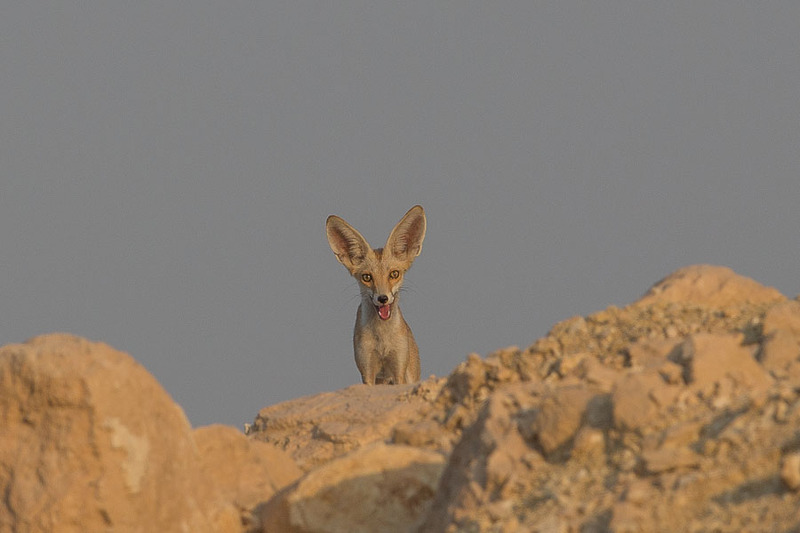 It has been an excellent year for foxes in Dhahran this year and I have had better views this year than any year previously. 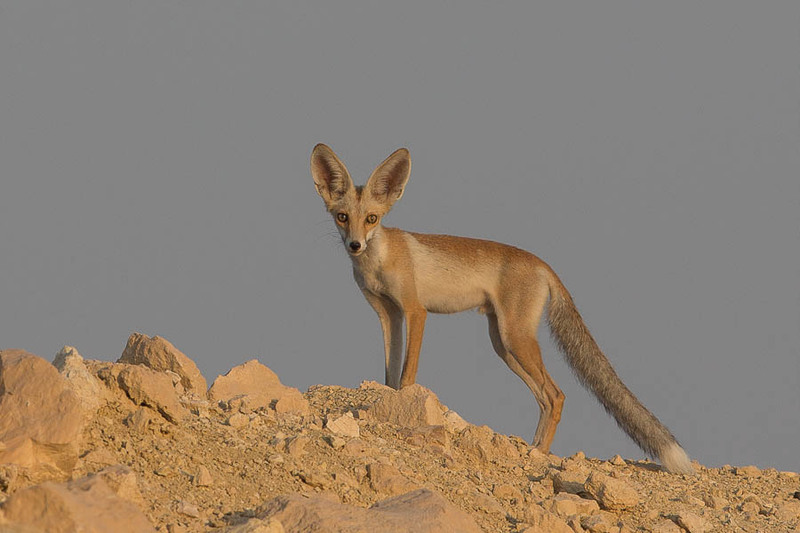 I always enjoy seeing the foxes as they are really beautiful animals, and this was no exception. Congratulations. 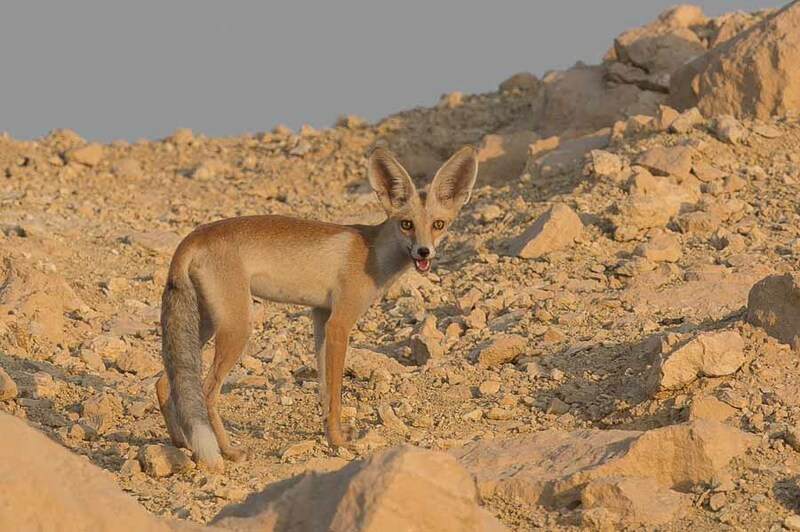 They are great animals to see.